Heart valve disease occurs when one of the four valves in the heart function properly. This leads to reduced flow of blood through the heart. Congenital heart deficit at birth is the resultant of malfunctioning heart valve in pediatric patients. In the United States, significant numbers of babies are born with congenital heart valve defects. Most of the babies which suffer from this condition have to undergo heart valve surgery and replacement heart valve surgery. The prime advantage of mechanical valve over tissue valve is that they do not get degraded and rarely need to be replaced over concerns regarding operating. Mechanical valves are made from either pryolytic carbon or titanium that is coated with pryolytic carbon. Pryolytic carbon is an ingredient in many medical types of equipment. Due to their durability, mechanical valve are primarily used for correcting heart valve related condition in younger patients as compared to elder population. The newer models focus on an open-and-close valve, which allowed for central blood flow. 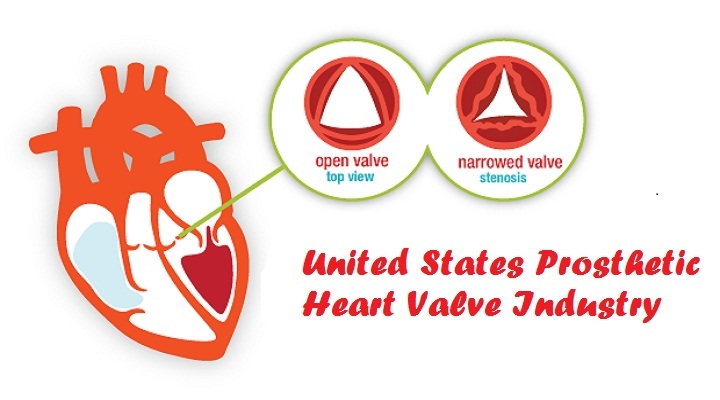 According to the study, ‘UNITED STATES PROSTHETIC HEART VALVE PROCEDURES OUTLOOK TO 2025’ some of the procedures and products that are currently available in the United States include Cardiovascular Procedures, Cardiac Assist Procedures, Cardiac Rhythm Management (CRM) Procedures, Cardiovascular Surgery Procedures, Clot Management Procedures and Interventional Cardiology Procedures. Some of the companies that manufacture heart valve replacement and repair devices are ATS Medical Inc., Boston Scientific Corporation, CarboMedics Inc., Medtronic Inc., and Sadra Medical Inc. In March 2018, The United States Food and Drug Administration approved a small heart valve that could be used for the treatment of newborn patients. The agency’s approval market the smallest mechanical heart valve to be approved in the entire world. The approval was given for the Masters Series Mechanical Heart Valve with Hemodynamic plus (HP) Sewing Cuff to include the 15-mm valve size. The master series Mechanical Heart Valve is designed for usage in aortic/mitral position. It is a rotatable two leaflet valve. Just like a patient’s valve, the two leaflet design consists of two semi-circular discs that open and close in relation to blood pressure changes during the heartbeat. The current approval provides smaller patients another treatment option by expanding the size of valves available. The first Master Series Mechanical Heart Valve was first approved in 1995 especially for patients with malfunctioning aortic or mitral heart valve. The US FDA had previously approved this device for replacements in implanted aortic or mitral prosthetic heart valves. The FDA evaluated clinical data from 20 pediatric patients ranging from the age of 1.5 week to 27 months. The study revealed that surgical heart valve treatment in these age groups resulted in significantly lower probability of facing a heart valve related issue and simultaneously improved the probability of survival. The United States prosthetic heart valve Industry is expected to show a positive growth in the coming 5 years. Many companies are coming up with technological improvements and innovations to improve the efficiency and effectiveness of these devices. Government regulations in the States have also supported the growth of this segment which translated into a strong base for the companies.